Brisbane has gone mad for Mexican over the last few years, with a multitude of restaurants, bars and fast food style joints like Tex Mex, the Burrito Bar and Tuckeria popping up all over the place. And I couldn't be happier about this development; Mexican has been my favourite cuisine since a friend first introduced me to nachos back in 1992. I've eaten at just about every Mexican restaurant in Brisbane in order to find the best, and keeping in my mind everyone has different tastes and preferences, these are my personal top 3 choices. 1. Villa Maria at 82 Bennetts Rd, Camp Hill. This is undoubtedly the most authentic Mexican I have found. The menu is extensive and a little on the quirky side, definitely not your typical run of the mill Mexican fare. Dishes range from your basic chips and guacamole to specialties which include Salvadorian style pork ribs and Mole Pablano, a traditional Mexican chicken dish with mole sauce. The meals are freshly cooked with Mayan, Aztec and Spanish influences and the restaurant prides itself on serving traditional, home cooked style meals. The prices average $15-$25 for a main meal but it is well worth it, the servings huge and bursting with unique flavours. The restaurant is clean and beautifully presented with genuine South American ceramic and textile artefacts on display and for sale. I first went here for my birthday; service was relaxed and the staff were super friendly and accommodating, they even prepared a nachos cake for me! If you love Mexican food and are open to variations on the Mexican that you're used to, I highly recommend expanding your Mexican horizons and giving this place a go. Villa Maria is open for dinner Tuesday - Saturday, 5-10.30pm. And if you're there on the last Saturday of each month you'll be able to catch some live and lively Latin music. 2. El Torito at 146 Boundary St, West End. A long time favourite of mine, El Torito has been around since 1996 and has a reputation for fresh, authentic, affordable Mexican food. The restaurant is cosy and decked out in bright Mexican decor, but it does get incredibly loud when busy, as it has been every time I've been there. Admittedly, I haven't been there recently as it is not one of my husband's favourites and I've been too busy trying all the new establishments, but it still has a special place in my belly! It's where I go whenever I'm craving the hot, heavy and cheesy style of Mexican that was all Brisbane used to know, rather than visit one of the chains like Montezumas or Pepes. The menu is massive and includes vegetarian and gluten free options. My favourites here are the crispy tostada ($8.50) and grilled vegetable burrito ($17.80). The prices are on the high side but the servings are generous; I do however, object to paying $3.00 extra for a teeny tiny side of guacamole or sour cream. The staff are friendly but service can be a little slow. 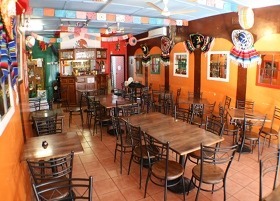 El Torito is BYO ($2 corkage per person) and open for dinner Tuesday - Sunday, 5.45pm til late (kitchen closes at 9pm). They also offer cheap lunch specials Wednesay - Friday between 12pm and 2.00pm. 3. Guzman y Gomez - Emporium, 1000 Ann St, Fortitude Valley and Tuckeria - Brunswick Central, 421 Brunswick St, Fortitude Valley. My pick for the best of the new fast food type joints that have popped up around Brisbane, these two establishments are too close in style, quality and value for money to call a winner. Both boast a likeness to the popular Mexican tacquerias found throughout America and Mexico, and provide a refreshing take on modern mexican; the food is fast, tasty and fresh - emphasis on fresh. The cornchips alone are heaven sent, the nachos are possibly the best in Brisbane, and the burritos are big and bursting with flavour sensations. Besides the freshness and taste sensations of the food, I love the the variety of choices available, and the ability to create your own tailor made meal in a few simple steps. And for less than $20 you can stuff your face and walk away (or waddle as I have to!) completely satisfied and planning your next visit. Both venues are licensed and open Sunday - Wednesday 11.00am - 10.00pm and Thursday - Saturday 11.00am - 11.00pm. Check out my Guzman y Gomez review for more details. All of these restaurants stand out for different reasons and for me they are the best of their kind. I go to Villa Maria for something special, authentic and unique, to El Torito when I'm craving the old-school hot, heavy and cheesy numbers, and Tuckeria or Guzman for a fast, fresh, flavoursome and value for money meal. These days if you're hankering for a Mexican food fix, there are so many different options and styles to choose from - these just happen to be my favourites. Naturally they won't be everyone's because everyone is different. For example, I recently visited LaQuinta at Bulimba after reading several rave reviews, but it would be an understatement to say I was bitterly disappointed with the food and will never return.The trick is to know the style you prefer or are craving - the new fresh, fast food style, or the heavy, cheese laden (but comforting) style of old. I would love to hear where other people go for their Mexican food fix, or if people prefer the new or old styles - if you'd care to share please leave a comment. El Torito has always been a favourite, recently went to Rosa Mexicano at Rosalie and it was good as well. There's a new place at Tingalpa called Chidos (http://www.chidos.com.au) - they have some great stuff. I find it's a lot lighter and fresher than most other Mexican take away I've tried. I would like to also note that La Pachanga in Coopers Plains is very good and coming from Latin America it gets my and my friends' seal of approval. You can't beat Serrano's at Beenleigh in my opinion. Have been going there regularly for a few years now, and the service, menu, and taste of the food is excellent. I'm American and when I visit my sister in Brisbane I would like to cater food for her birthday party. Are there any Mexican restaurants that serve a Tex-Mex menu? Thanks! Mad Mex (Brunswick St, Valley) is a way better than Guzmen Y Gomez. They give you more of the fresh ingredients and less filler like rice. You also get your burrito/nachos/tacos/etc made to order so you get exactly what you want. If u want authenic ask a real Mexican. Dos amigos at taringa is my favourite. Their jalapeÃ±o poppers are hard to beat! You obviously haven't tried La Pachanga in Coopers Plains. 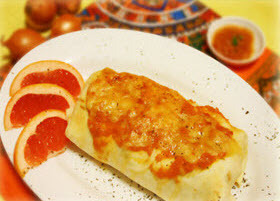 It is a small, family run cafe that is full of love and spectacularly authentic Meixcan food. Voted best Mexican restaurant on Urbanspoon. Definitely worth the drive. Laquita's in Bulimba is hands down amazing I've tried all of the above and nothing can beat it! Try Funky Mexican's at Cleveland. Great food, great service & great view at the harbour. I bought burritos at a new Mexican cafe/takeaway in Cooloongatta called Zambreros and they were the best I have ever eaten. I think it is a chain, but the sauces and meats are all freshly prepared and they were great!